O my God, in you I trust; let me not be put to shame. Indeed, none who wait for you shall be put to shame. Deuteronomy 8:7For the Lord your God is bringing you into a good land, a land with flowing streams, with springs and underground waters welling up in valleys and hills, 8a land of wheat and barley, of vines and fig trees and pomegranates, a land of olive trees and honey, 9a land where you may eat bread without scarcity, where you will lack nothing, a land whose stones are iron and from whose hills you may mine copper. 10You shall eat your fill and bless the Lord your God for the good land that he has given you. 11Take care that you do not forget the Lord your God, by failing to keep his commandments, his ordinances, and his statutes, which I am commanding you today. 12When you have eaten your fill and have built fine houses and live in them, 13and when your herds and flocks have multiplied, and your silver and gold is multiplied, and all that you have is multiplied, 14then do not exalt yourself, forgetting the Lord your God, who brought you out of the land of Egypt, out of the house of slavery, 15who led you through the great and terrible wilderness, an arid wasteland with poisonous snakes and scorpions. He made water flow for you from flint rock, 16and fed you in the wilderness with manna that your ancestors did not know, to humble you and to test you, and in the end to do you good. 17Do not say to yourself, “My power and the might of my own hand have gotten me this wealth.” 18But remember the Lord your God, for it is he who gives you power to get wealth, so that he may confirm his covenant that he swore to your ancestors, as he is doing today. In this juncture of my own journey in faith, I don't need another creed, another confession, another article of faith, but I do need techniques and suggestions to bring those convictions into my every days. Like almost everyone, I need to learn to slow time, or at very least, to savor, appreciate, and fully live into every moment, rather than looking backwards or forewords―as important as those perspectives are. 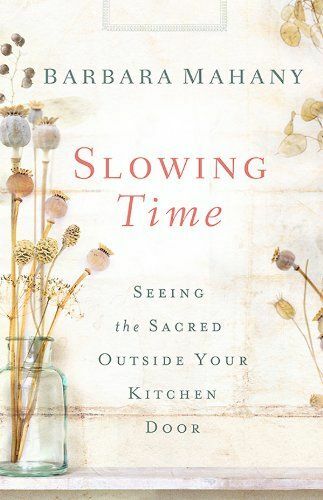 Barbara Mahany's Slowing Time is a lovely, love-filled journal of seasonal nature and spirituality; she emphasizes how the church's liturgical year of grace and the Jewish festivals both have deep roots in earth and sky. Reflecting upon astronomical and meteorological seasons, she opens each new seasonal section with a lilting description of the literal nature of sun, shadows, light and dark at each solstice or equinox. Subtitle, "Seeing the Sacred Outside Your Kitchen Door" hints at Mahany's emphasis on perceiving with all your senses, not solely with the one of our five senses most engaged in a particular activity. A special recipe for each season, as well! I'm not majorly a meat-eater, but I'd love to try Beef Stew with Pomegranate Seeds Nestled beside Aromatic Rice; I've made something similar to Christmas Eve Elves' French Toast in the oven, and when I live with a working oven again, it will be time to bake that specialty again. Need I even mention summertime Blueberry Slump?! You know I'm a pushover for berries and for serving any dessert with vanilla ice cream! I like Rolled Cut-Out Cookies' ingredients, but definitely prefer chewy, soft, bar-type cookies to crispy ones. Probably because it's mid-November, I love how Slowing Time begins with Winter as a "Season of Deepening" and ends with Winter as "Season of Stillness." Note: Amazon Vine sent me an uncorrected Advance Reader's Copy, and I'm going by the index, rather than by the actual section titles, both of which list Winter as "Deepening." I've enjoyed peaking into the author's days and seasons along with her anecdotal reports. She gives us a "Count Your Blessings Calendar" for each season, and I've already started trying to blog blessings each week with my "week of grace" posts. Although I intend to keep Slowing Time the book, to reread it, and possibly loan it out (and hope to get it back), for me it's best as a model for journaling or blogging. As computer-intensive as my days have become, and despite my aversion to journaling in anything but a basic 70-page lined spiral bound notebook, in order to Slow Time I easily can imagine writing and drawing in one of those lovely journal books, maybe even making "field notes" along the the bottom of each page like a stream of news ticker, just as Barbara has done. Although the author lives in Wilmette, Illinois, I find it fascinating that reading Slowing Time gives little indication of a rural, urban, or suburban setting. In other words, these activities and observations can happen anywhere, so go chronicle your own experiences Slowing Time! Please? I'm going to do just that! It's mid-November, and MaryBeth hosts an Advent of Advent Friday 5. I invite you to sit quietly ... and consider five things about Advent. They might be images, practices, hymns, anything you like. Just let the thoughts wash over you. Be peaceful with them. Be blessed with them. 1. I'm excited as we begin a New Year of Grace we'll again be in Mark's lectionary year and start out loud, clear, brazen, and pleading with one of my favourites, Isaiah 64:1-9—"O that you would tear open the heavens and come down, so that the mountains would quake at your presence!" 2. I love Michael Spyres' glorious interpretation of "Comfort, ye." As one of the commenters on the video insisted, "It is supposed to ring above the hills like a clarion," as this performance does. Truly. 3. The annual Lessons & Carols: A Festival in Word & Song to Prepare for Christmas at University of San Diego on Friday, 05 December 7:30 and Sunday, 07 December 2 pm. Two years ago I attended both days, because I had to hear Daniel Pinkham's (auto-corrected to "Pumpkin," but I caught it. Too bad?!) Christmas Cantata twice. The site hasn't yet listed this year's music. 4. 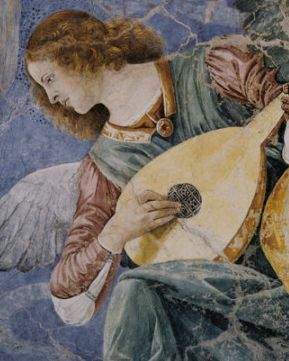 A short list of fave Advent hymns includes "Prepare the Way, O Zion, "Lift up your heads, ye might gates," "Wake, Awake" (along with the many fabulous organ settings of «Wachet auf»), "Lo, He Comes with Clouds Descending." All those are super-fun to lead from the organ, too. 5. Shorter days, longer nights as we anticipate Winter Solstice and get to light more candles, wear lighter, brighter – sometimes funner – clothes... Why do some people think autumn and winter signal a time to begin wearing dark somber colours? PS Because of YT vids coming and going, I've deleted direct links, but kept the song titles so you can find your own vids. 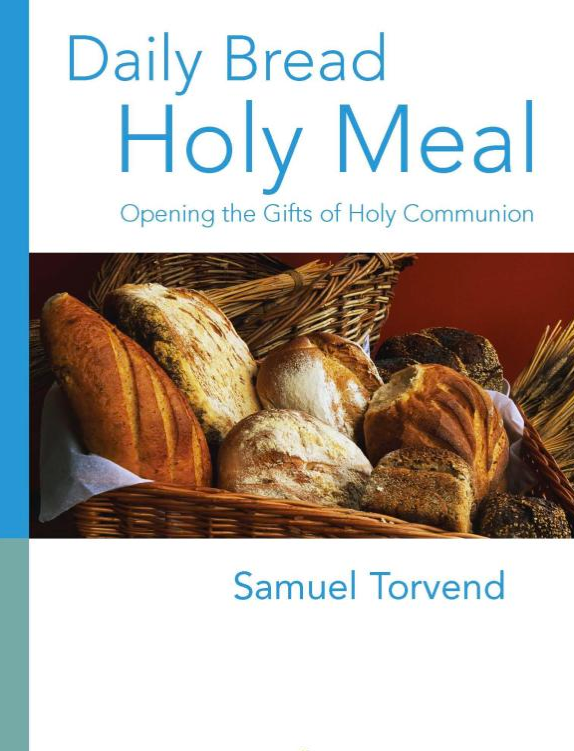 Daily Bread, Holy Meal is chronologically the earlier of Samuel Torvend's pair of books about the sacraments. 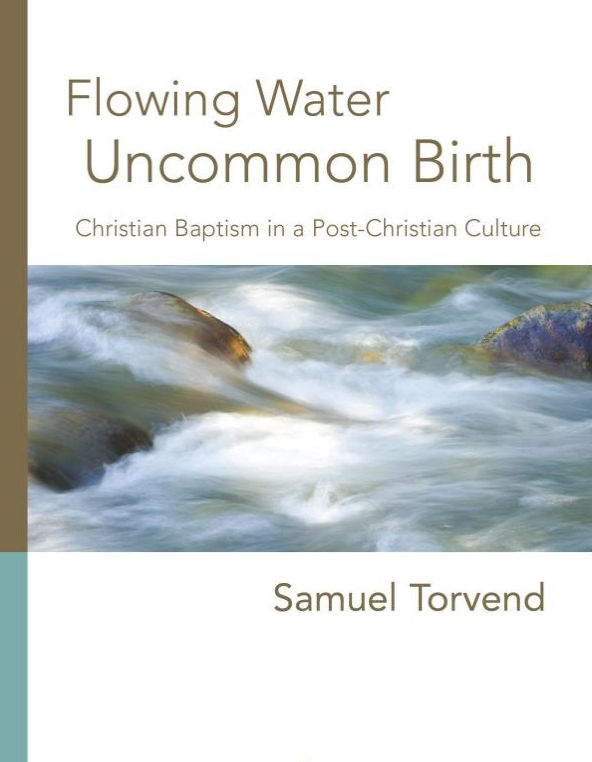 In his short book about baptism, Flowing Water, Uncommon Birth, (among other details) Torvend describes the sober intentionality of preparation for baptism in some communities – particularly in those days of yore – and the expansive size of some baptismal fonts that helped emphasize its importance. In this second notebook, (also among other details) he gives us various meanings of The Meal: thanksgiving; inclusion; lives poured out; forgiveness, reconciliation... just as in his short book on baptism, the author draws upon the life of Jesus of Nazareth and his disciples, Pauline epistles, and passages from the Hebrew Bible. In fact, he brings us everything you've ever read, learned, heard, or experienced about HC—and then some: so very many possible images and realities related to the Holy Meal, not a single one exclusive of any of the others. At the end of each chapter, Flowing Water and Daily Bread both include a few questions for the reader, and at the end of the book, a chapter-by-chapter bibliography. An excellent resource if you're a pastor, seminarian, deacon, preacher, theology geek, or liturgy aficionado. Useful and enlightening, too, for an occasional pew-sitter, or an outsider who wonders what on earth it's all about. I love that Samuel Torvend includes his grandmother's recipe for Molasses Raisin Bread! Although the publication date is later, I'll review Samuel Torvend's notebook on baptismal practices and baptismal theology before I say a little about his companion book about the other dominical sacrament, the eucharist. With fewer than 100 pages, physically this indeed is a "slim volume," yet Torvend has gathered much of the interpretive and practical riches of Christians world wide over the centuries. Flowing Water, Uncommon Birth will help you remember all the various images, symbolisms, and scripture passages (both Hebrew Bible and New Covenant scriptures) related to the baptismal event, and nudge you mightily regarding the nature and demand of God's call to live out our baptism in the world around and about us. 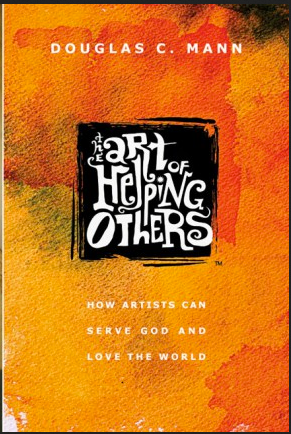 As the author emphasizes, although we don't have group baptisms in the sense of herding dozens of candidates into the font and then pouring water over them, but rather baptize each person individually, the baptismal reality is a communal we, us, our, and ours. There's an excellent but short bibliography at the end. 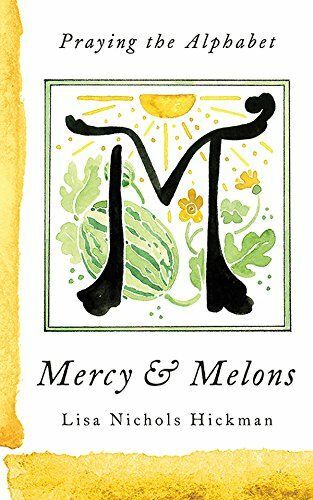 I loved reading Sara Hagerty's story, learning a little about the yearnings of her heart, and appreciating the model she provides for very slowly, randomly, surprisingly learning to trust God. Maybe Sara teaches us how ultimately to tell about our own struggles in ways that will benefit others? 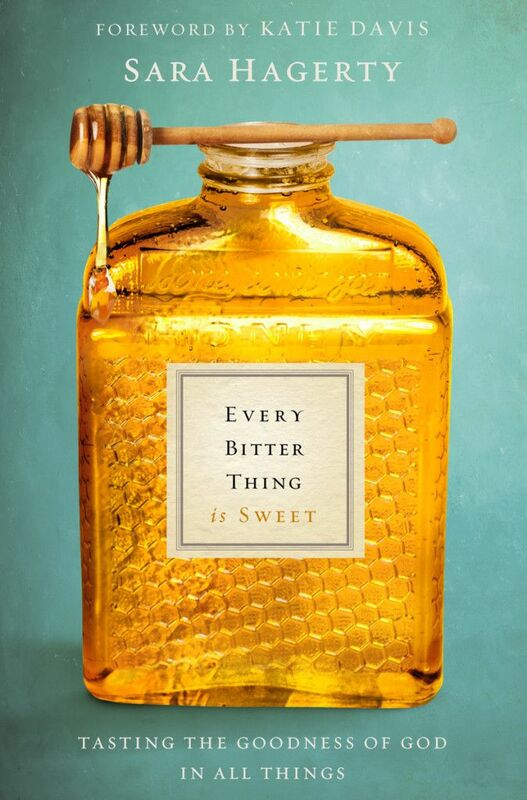 Some reviewers interpreted Every Bitter Thing Is Sweet: Tasting the Goodness of God in All Things as mostly about the author's more than a dozen years' long inability to conceive and birth a biological child, but I feel that part of the book's all but peripheral. Like most of us, Sara had major problems with openness and vulnerability, and she tells us about sometimes intentionally, at other times almost accidentally opening herself to her husband, her kids, to God. Everyone carries with them yearnings and questions of "Lord, how long? When, Lord? I know you have called me [to a particular task, ministry, role] but how will it happen? I'm out of options!" If you've gone to church much, just as Sara did, you totally have noticed all the young married 20-somethings who are pregnant, nursing, trailing a toddler behind them, or maybe both PG and with a toddler or two in tow. Though Every Bitter Thing is far more about Sara's experiences waiting on God's faithfulness with increasing trust, needless to say, her expectation that she'd get pregnant shortly after she and Nate got married (in other words, many years before she actually conceived) interweaves through her story. One cannot humanly avoid trying to figuring out why their own well-prepared readiness for a particular task, ministry or role isn't causing it to happen. Several times Sara refers to the covenant relationship she has with her husband. We live in the mercy-filled, loving sovereignty of the God who covenants, the God who remembers, and this includes God remembering that we humans frequently forget. In the copy of the book I received, chapter 14 is all about "The One Who Remembers." Every Bitter Thing is Sweet demonstrates Sara's daily solid grounding in scripture―in my theological tradition, that would include a close parallel of being grounded in the sacraments. Theologies not only spoken but also worn with (and within) our entire beings! Please let me assure you, this isn't about maintaining a "Praise the Lord anyway" mindset while disappoints engulf you type of book. This isn't about someone who fantasizes she's imitating the apostle Paul and becoming sanctified by glorying in her sufferings. How wonderful the book title isn't (for example) an über-difficult to untangle theological sentence from Romans or Galatians, or one of Jesus of Nazareth's charges to us that more often than not feels impossible, but rather an everyday observation from Proverbs, a book included in what we sometimes call scripture's "wisdom" literature. In the interest of getting this blog post finished and published, I'll mention the way God has brought me back to my original aspiration (from all the way back before kindergarten!) of being a designer as both very sweet and sometimes too too bitter. I've tried to begin telling some of my back story to disappointingly few blog post hits, but the short version of bittersweet includes I've even won awards for my design in recent years, yet no one has been there to celebrate with me, least of all the now former friends I'd truly love to observe my comeback. A snippet of scripture heads each chapter; scripture passages "For Your Continued Pursuit" conclude each chapter. I hope you'll visit Sara's Every Bitter Thing Is Sweet site and blog, and maybe watch her video on her amazon page, too! Because amazon vine sent me a prepublication copy that's missing the foreword by Katie Davis – and possibly other features – I only have been able to comment on Sara's own words.